← Where The Hell…? Santa’s Village, Elves, and MORE!! 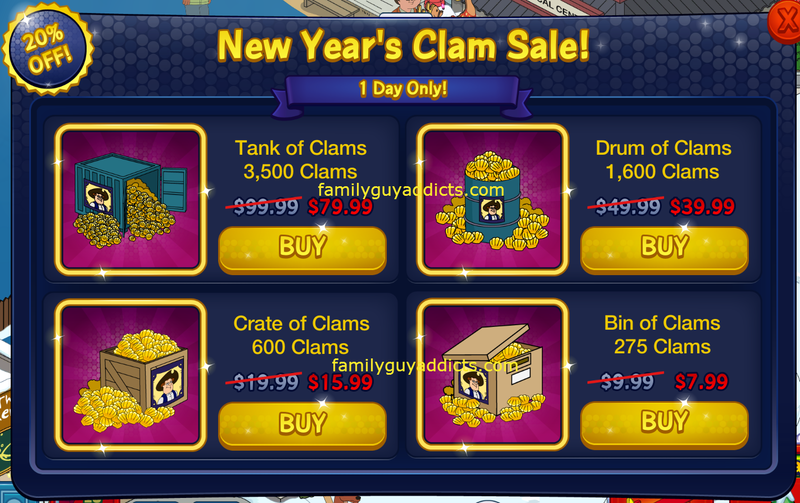 It is the last day of the 2014 Year and TinyCo has decided to drop the price for the majority of their Clam Packages. WOOHOO!! On top of that it seems that lil Stewie didn’t get everything HE wanted for Christmas, especially a Firetruck. So if you are looking to purchase some Clams, you can get Stewie’s Firetruck Free with ANY Clam Package purchase. Stewie: Hmm… it seems I’m still missing a Firetruck from my Christmas List this year. As soon as you purchase your Clams (even the smallest amount), you will see a pop up from Peter completing the “Put Out The Fire!” task. Then a second Pop Up will appear telling you the Firetruck is in your inventory. I found mine ALLLLL the way at the end of the Decorations Tab in my Inventory. 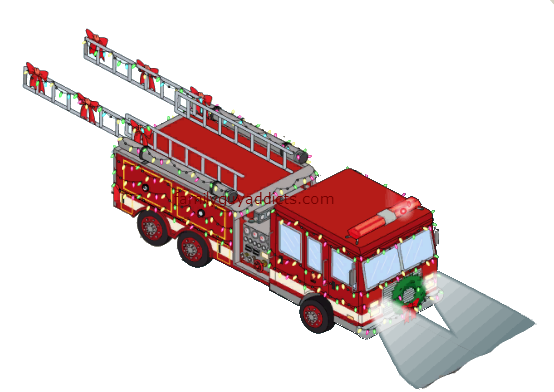 Stewie’s Festive Firetruck is small (about a 1×2 or 1×3), adorable, animated when tapped (moving ladder/flashing lights), and just like Meg’s Car and Peter’s Tank…is a mobile item that drives around on the roads. No sound that I heard on it, though I probably wouldn’t mind NOT hearing a siren. Lol. What do you think of the sale? Are you going to pick you up a few Clams? Did you already? If so, which one? Let us know. 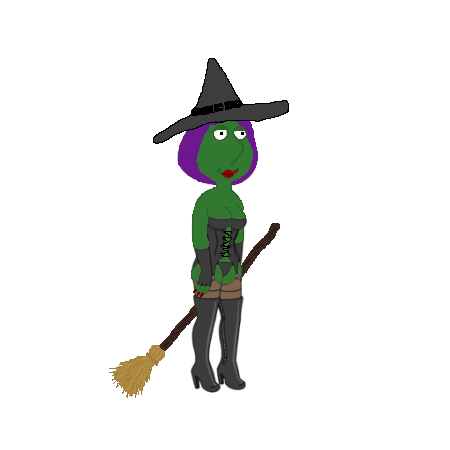 This entry was posted in Game Play and tagged 20% Off Clam Sale, Family Guy Addicts The Quest For Stuff, Family Guy Tips and Tricks, How to get Clams for less, Miracle on Spooner Street, New Years Clam sale, Stewie's Fire Truck. Bookmark the permalink. Every time I try to get the crate of clams I just get the squirrel running around and then it gives up. Could be a connection to your app market. This is what I do when that happens. Force Close the app. Go to my App Market and log out. Restart Device. When it powers back up, log back into the App Market first, then I launch FG:TQFS. See if that helps. Also, make sure you got a good strong signal for it to connect as it processes the purchase. I can’t seem to be able to sign out of Google play store for some reason, guess I’ll just have to get a different amount of clams. Thanks for your help though bunny. That or if you have another device… try it there too. Wasnt sure where to put this, so i decided here. After the christmas event ended and i restarted my game for the new load and i had a bunch of characters waiting for tasks. So i was going through and giving them a bunch of 12 hour tasks. I came across the Freddy Kruger character (if you have him). His 12 hour task is grilling shishkabobs. However I noticed for his task payout was his normal xp points, BUT instead of the coin symbol it showed a wrapped stack of cash with a value of 999 next to it. Have never seen this so i decided to try it and see what happens. Guess we’ll see what happens. He hasnt finished yet and didnt see this for any other characters. So i dont know if this is a glitch of some sort or a slight glimpse into a future thing in the game. ALSO, dont forget to switch all your snow covered building skins back over to the regular ones so you get your coins and xp points much quicker versus how long they took during the christmas event. We saw that too. Normal. It is a “placeholder” for a task that was paying event currency but now regular again. Not all switched over all the way yet. I’m in New Zealand. I decided to buy the 275 clam offer which shows $9.99 down to $7.99, however when the purchase went through iTunes I was charged the full price. It’s only $2 so not the end of the world but still it’s not what was advertised. Would it be appropriate to contact Tiny Co about this? I’m more than happy to add 20% extra clams to make up the difference 😀. I am not sure if that is an issue from TinyCo or iOS. Contact both just in case. So far, reports it isn’t on their…waiting for word from TinyCo on it. Got an update on amazon but no sale. Was hoping to combine with current amazon promotion of 30% amazon coins back. If it shows up I will load up since I got my refund from Simpsons Tapped Out donut screw up. I was hoping to grab some too but no luck. Why are us Kindled players always getting the shaft?! Couldn’t resist. TinyCo actually knows this about us, lol. 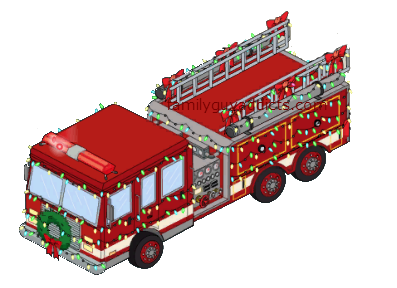 The fire truck driving around on my quahog roads is absolutely adorable!! How long does it take to craft Jesus? Just bought a small amount of clams to get the truck – very cute. I love these moving decos. They are so cool. I was going to try yo resist trying for the tank but then I seen I driving all over a neighbor’s town and it had to be mine. iOS? If so, it is something you may need to check on your app market for. Mine says that when there is a payment issue or connection issue. So…I go out of the game. Log out of the app market, reset my device, go back into the app market first and log back in, then relaunch Family Guy. When I tried to place the firetruck it disappeared…. Check the streets. It is a lil moving truck. I refuse to spend money on this game. I hope the sale isn’t an indication that the New Years event is going to require you spend clams to complete like the Yetti crap. You never HAVE to spend Clams. It is all a choice. YOUR choice. What you invest, if you choose to invest…is all up to you. Without SOMEONE investing in the game, how can it even exist? Does anybody know if completing the “buy coins to get clams” quest will give me the firetruck? Or will I actually have to buy a clam pack? I would assume no as you are buying coins. BUT…you can get the lil pack and get it. so i guess i can’t speed up the yeti’s 4hrs sleep time between yetis right? which means i still can’t get jesus even though i bought the clams. i.e. purchased john and the kiss gang. BUT you can jump start the next one by leaving a few characters battling him while he is in hibernation. But at least I saw this and didn’t waste the rest of my clams speeding up my attacks. Going to get mine a littl later. I know this isn’t the place but here is the question. I seen that you can now play FGTQFS on your PC. What i would like to know is will it sync with my game on my IPhone or do I have to start all over and play two separate games? Windows 8 currently has no option to log in. Sorry. Thank you Bunny! It would be nice to have a much larger screen (15″-17″). I know IPad is larger thn my IPhone but you have to buy one to have one.LoL!!! i only bought the 1.99 package cuz i just wanted the truck. 😛 but yeah its crazy how many free clams they’ve given out over this and the previous events. i love the Simpsons game but EA could learn a thing from them regarding their donut giveaways. I just bought a box of clams =P I couldn’t pass up the fire truck! I would have been so angry at myself if I didn’t get it especially since you had your choice of what to buy!! No, but if they had promised a few snowflakes I would have done it. I have 99 snowflakes. 99. 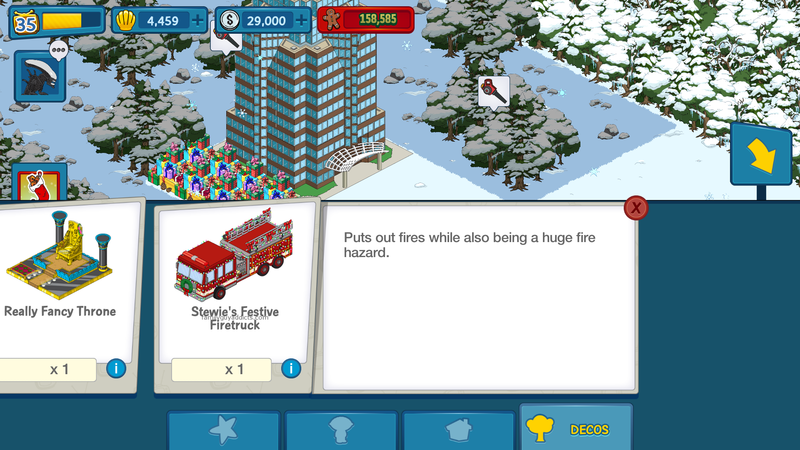 Frustrating that only Yeti and the building dropped flakes… No Jesus for Quahog! How can you pass up another moving vehicle in your streets?!?! I was lucky enough to get Meg’s pink car and now have the fire truck! I adore it! With all the clams won from the event plus buying a 600 crate, I have almost 1,000 clams! It just looks strange to have that many sitting there!!! Can’t wait to be able to buy whatever comes out with the next event!!! Asking about that. Saw others reporting it. This is a little odd. 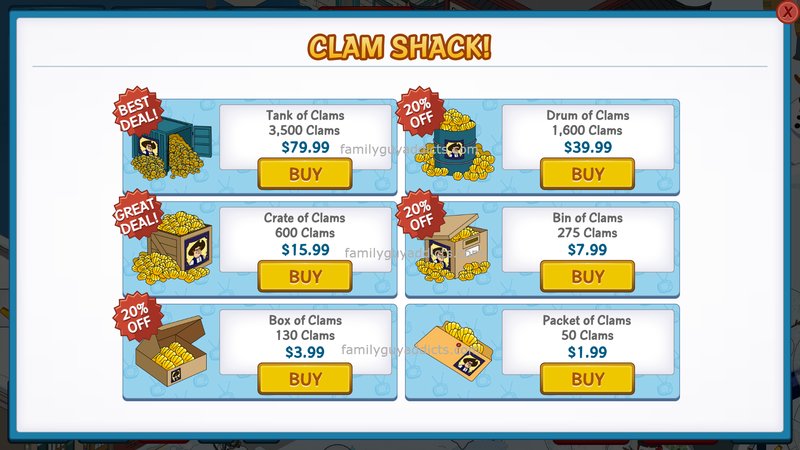 Normally the prices for clams in Canada are inflated because of the exchange (so for instance the 19.99 package is normally 21 dollars and change) , however for the sale they are listed as $16.99 down from $19.99. I’m hoping this is TC bringing prices on par with the US store and not a 1 time thing. Its true i just noticed that too. The big one is 106.49 or so Canadian and 99.99 us. Cool. forgot to mention, my store always showed 19.99 regular. wonder how you see inflated prices. In toronto and NOT seeing inflated prices either…shhh…don’t tell them. Oh, and on iPhone…not sure if that makes a difference. I picked up the 600 crate since I had some extra money in my iTunes account. The fire truck is really cute–I thought it would just sit there on the lawn like a decoration, but it drives through the streets! I had used this sale to buy the bin of calms so I could finish the king yeti and get Jesus. I’m guessing it’s that we don’t get 20% off in the UK. A crate of clams is normally £11.90, the sale price is £10.28 but 20% off would really be £9.52. Same with the bin and box of clams, £5.95 and £2.97, sale price is £5.13 and £2.56. 20% off should be £4.76 and £2.38. I’m in a rush and don’t have to time to figure out the exact numbers but the crate is less than 15% off. It’s still a nice deal but not quite what’s advertised. We do not allow “attacks” on anyone…companies included…on our site. If you feel there is ill will, then you will need to discuss it with them. As you may not work for either of the companies involved, it is not fair to pass judgement. Along with not knowing ALL the details…who did what to cause what, etc…we will not allow “attacks” on anyone or anything that will incite “flame wars” “hate speech” or cause other chaos. It goes DIRECTLY against our guidelines here. No one will be allowed to be a “Judge, Jury, and Executioner”. Sorry…but we do not tolerate that here at all. That would be like me calling you a hacker and a thief. How do I know that? I do not know you? Do not know your business. Do not know your practices. For me to judge you so harshly is cruel and unkind. We are happy to help with things that are appropriate and that are following our guidelines. Kindness goes a long way. There are appropriate ways to approach things and and to discuss things. Outright attacks and accusations are NOT appropriate. I am sure you understand. I know I saw this morning when I logged in. I just bought a crate a few days ago at the full price. I wonder if tiny co would consider that and send me over the difference. Btw…. 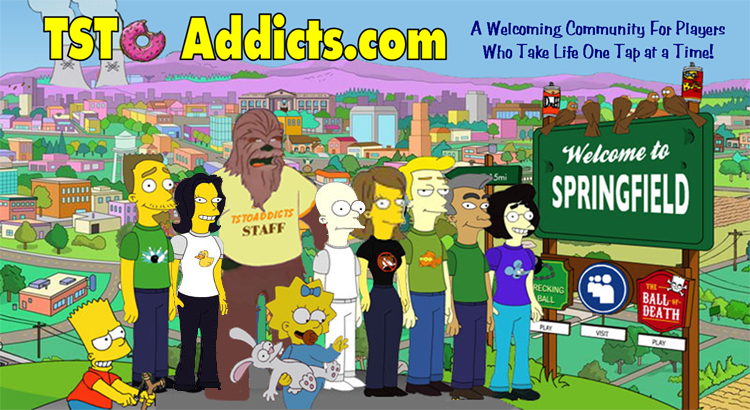 Thanks to the whole addict team for keep us updated over the holidays. Much appreciated. Hope you all have a great New Years tonight and see you next year. For me I came down with the flu last night. So I’m not having too much fun today. Already got a 600 pack of clams and the fire truck when it popped up earlier this morning. Not seen any sales in my game (UK) today but have the opportunity to get the fire truck.